We are truly at an inflection point as digital transformations become the norm in how business and data center leaders think and operate. Furthermore, the workforce is changing and it is affecting how data centers will run in the future. Today, we're seeing new technologies impact the data center with more virtualization, big data, solutions around machine learning, and an ever-mobile workforce. So how does the data center keep up? How can leading providers better support new initiatives around cloud, consumption modeling, the edge, and an evolving digital economy? Join this session to hear about the three dynamics influencing this change: the exit of baby boomers and their stockpile of knowledge, the influx of millennials and rapid employee turnover, and the expansion of artificial intelligence through machines that learn simple and complex tasks. 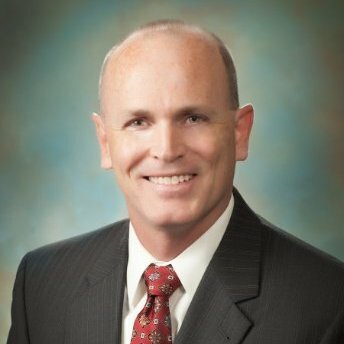 Patrick Quirk is the Vice President and General Manager of Global Management Systems for Vertiv, formerly Emerson Network Power. Prior to joining Emerson in 2011, he held senior management and technology roles in several venture funded start-ups and large multinationals in the telecom, networking, and semiconductor industries. Quirk has an MBA from Vanderbilt University and an MS in Engineering (Digital Signal Processing) and has been awarded multiple patents. He currently lives in Huntsville Alabama with his wife, Danae, and two sons.